Below are the most commonly asked questions about the paleo diet. If you have a question about our products and services, please view our Support page instead. Q: Is the paleo way of eating safe? Q: Is paleo good for your health? Q: Is paleo right for me? Q: Can vegetarians eat paleo? Q: Can you eat paleo when you’re on medication? Can I Eat Paleo While On Medication? Q: What’s the best way to start eating paleo? Q: Do you have to buy grass-fed and organic? How Important Is “Grass-Fed” Beef? Q: Which portion and serving sizes should I use? What Should My Portion Sizes Be On The Paleo Diet? Q: What paleo drinks are there? Q: When and how often should you eat? How Often Should I Eat On The Paleo Diet? Q: Where can I find paleo recipes? We have hundreds of delicious paleo recipes right here. 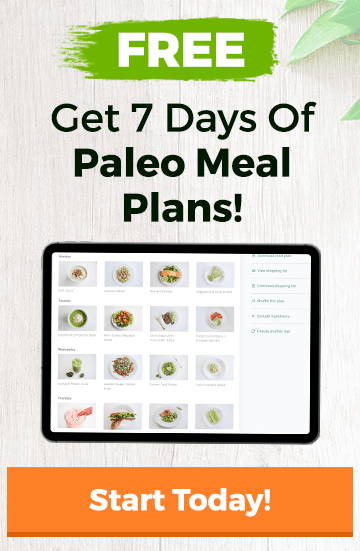 Where Can I Find Great Paleo Recipes? Q: When can I find paleo foods? Where Can I Find Paleo Foods? Q: Is it OK to have cheat days? Q: Why isn’t dairy paleo? Q: Is it OK to snack? Can I Snack on the Paleo Diet? Q: Why aren’t grains paleo? Read Why Aren’t Grains Paleo? Q: Why aren’t legumes paleo? Read What The Hell Is A Legume? Q: Did cavemen really eat like this? Did Caveman Really Eat Like This? Q: Why am I so hungry? Why Am I So Hungry on the Paleo Diet? Always Hungry on Paleo: What do I do? Q: Why have I got no energy? Why Don’t I Have Any Energy While Eating Paleo? Q: Why am I not pooping? Q: How do you eat paleo when you’re really busy? Q: How do you persuade children to eat paleo? Q: How do you socialize and eat paleo? Q: How do you eat paleo on a budget? Q: How do you eat paleo when you’re traveling? Q; How do you give up your favorite foods? Q: Will I lose weight on paleo? Q: How do you eat to lose weight on the paleo diet? Q: How should athletes eat paleo? Q: How do I know what is and isn’t paleo? Download Paleo.io, the app that tells you what is and isn’t paleo in an instant. Q: Why do different sites say different things are/aren’t paleo? Why Do Different Websites Say Different Things About Paleo?